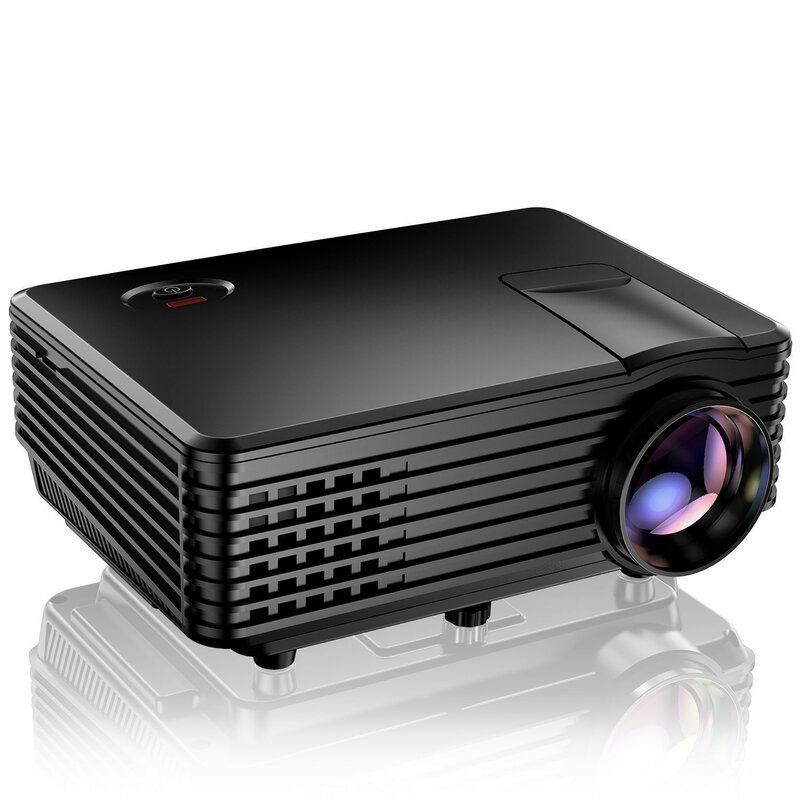 TENKER RD805 Mini Projector has 1200 lumens brightness and delivers 50 inches to 150 inches image. It can give a good home cinema experience. Since, this is a home entertainment projector so it is not recommended for PPT or business presentations. This multimedia mini projector from Tenker can easily be connected to your TV box, DVD players, personal computers, laptops, tablets, Amazon Fire Stick, USB flash drive, gaming consoles, iPhones, Smartphones and other devices. Please make sure that wireless HDMI dongle is not included with this purchase. Tenker RD805 has 50000 hours of long lamp life, 1200 lumens LED brightness, 800 X 480 native resolution and 1920 X 1080 support resolution. The throw distance is from 4.9 to 13.12 feet and the throw screen is from 50 inches to 150 inches while throw ratio is 1:41, and aspect ratio is 4:3/16:9.